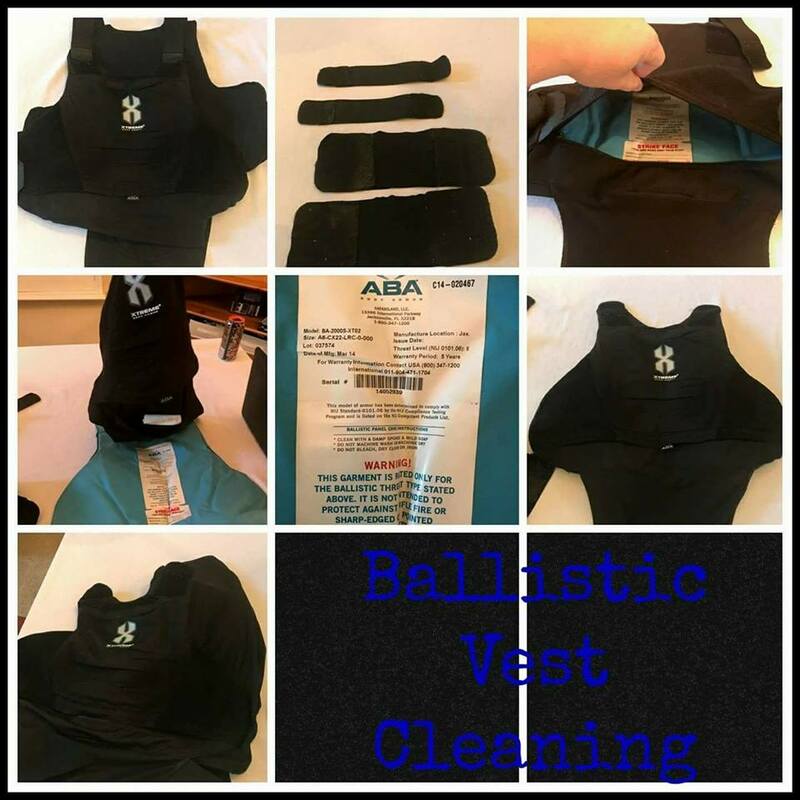 Cleaning a ballistic vest carrier is not unlike washing a nylon backpack. It’s important to carefully remove the kevlar panels and velcro and make note of where they go before washing. Once removed, put the carrier or carrier pieces (if more than one) into the wash with a good booster like Biz and a strong detergent using COLD water and a DELICATE cycle. Many people add Pine-Sol or scent boosters because carriers can get pretty smelly, but a regularly washed carrier will need less treatment than one washed infrequently. I also do an additional rinse to be sure it doesn’t retain any residue and hang to dry in a place that gets good airflow. If the weather is good, outside drying really airs out a carrier. The kevlar plates CANNOT be washed. Gently wipe them down with a damp cloth and allow to air out somewhere DRY and not in direct sun or heat. The plastic pouch around the plates tends to keep them from getting smelly, but if they have a little sweat on them, a damp cloth and some airing out is sufficient and safest. Reassemble the vest making sure the plates are returned to their correct position and facing. A safety pin is great for removing fuzz from the hook side of the velcro. Inspect any zippers or snaps for damage and the vest is ready to wear again.